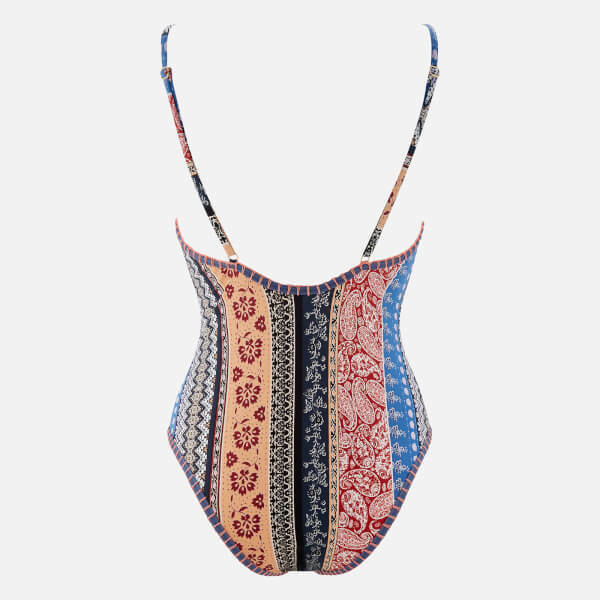 Women’s fully-lined one-piece swimsuit from Australian fashion, beachwear and accessories label MINKPINK. 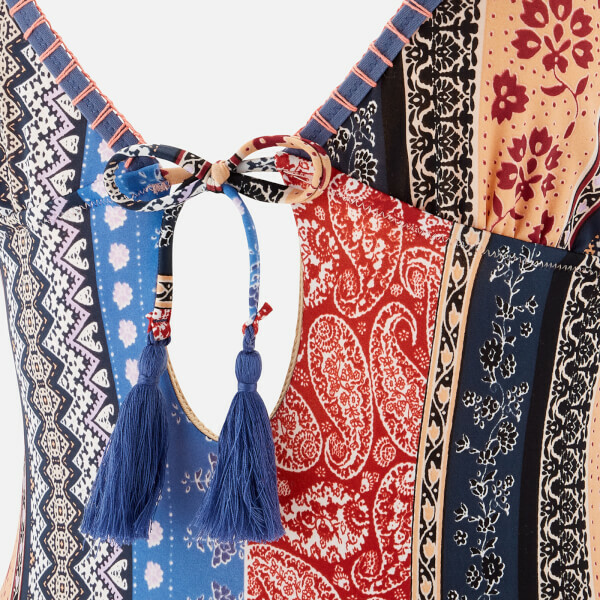 Adorned with a multicolour panelled patchwork print with paisley, floral and geometric patterns, the ‘Lily’ swimming costume features a plunging neckline with a tasselled self-tie bow detail at the bust, thin adjustable shoulder straps and a high-cut silhouette. Detailed with a blue trim with an intricate stitching design along the edges.